On Christmas celebration, people do so many things from their heart, for making this fest more enjoyable as it comes only once in a year. In Christmas, decorations are the most important part of celebration and think about Christmas wreath made by your own hands as one of decorative stuffs. Use of Christmas wreath is in trend from years and people still love it a lot. In this article, you will learn about several craft ideas about making Christmas wreath at your home. 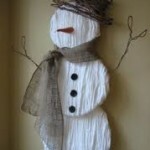 This craft idea is amazing for people of all ages. Therefore, encourage your senior citizens in your home to try and make dazzling designs of Christmas wreath in their free time. Making crafts is one of the most worthy activities for seniors because it helps them creating some useful stuff out of their creativity. 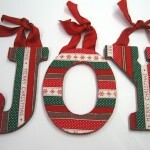 Christmas wreath making is very simple especially for people who love crafts. Right instructions can make it easier. Imagine the moment, when all your relatives will enter from your door where your Christmas wreath will welcome them and they appreciate your creativity. It would be the best moment for sure. Create different designs of wreaths at your home and use them in different corners of your house. It is true that you can make amazing looking rich Christmas wreath with different kinds of fruits or foliage. In fruits for making wreath, you can include pinecones, key limes, apples, berries, limes and lemon leaves etc. 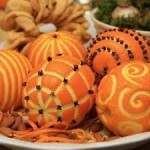 Some of the fruits will be used to adorn the wreath and some of them will be placed inside large sized wreath. Christmas wreath is perfect option for decorating door. Get hot glue and pins to attach these fruits in florist foam. Remember to attach large sized wreath first and at second place, fix small wreath. To enhance the look of this wreath, you can use any other natural element like leaves etc. It is another fabulous craft idea to create unique styled wreath. The prime element in this wreath design is pinecones and decoration should be done with dazzling red colored ornaments. To give pinecone a unique feel, you should paint it with spray in gray color. After painting properly, let pinecones dry. Then, take faux snow and spray it on. You can also sprinkle silver glitters as it will look more beautiful. Again keep it aside to get dry. Among these pinecones, you should decorate red ornaments using hot glue. 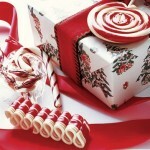 Christmas wreath can be created in numerous ways. For making a whimsical design white and silver colored Christmas wreath, you should follow very simple steps. 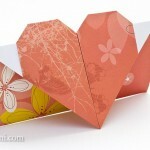 For interesting shapes, cut a paper in 3×5 and 4×6”. Get paper crimper and pull this paper widthwise with it. As per crimp marks, fold the sheet and create a fan of it. Glue the ends and join two different fans with each circle. Attach around 25 circles to foam a wreath design.